Patient Care and Companionship – Our volunteers spend quality, individualized patient support on a regular basis. Respite Support - Volunteers provide 1-5 hours of respite support for caregivers to have time to run errands, go to doctor’s appointments, etc. 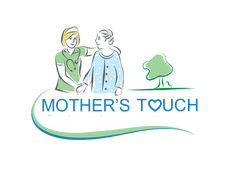 On-Call/Vigil - Volunteers are available for hospice staff to call when there is an acute and immediate need for a volunteer to sit with a patient. Reflections/Life-Review - Volunteers record memories and reflections of patients and document them for the family. Bereavement- Volunteers specialize in supporting the bereavement program. Veteran to Veteran – Veteran volunteers visit and share in the comradery to honor patients who are veterans and their families. What Can Our Volunteers Do For You? Do you or someone you know want to become involved? If you have a special skill, talent, or professional training that could fill a need or that is not listed, please feel free to LEARN MORE.